BearCom Group, Inc. designs and delivers high-performance wireless voice and data communication solutions that boost operating efficiency and increase safety. The Copernicus Group, Inc. is a leading provider of technology-enabled human subject protection services utilized during all phases of the clinical development process. EOS Worldwide, LLC is a leading provider of a holistic system and complete set of tools and resources that help business owners and leadership teams enhance functionality, effectiveness and overall success of their organizations. Halco Lighting Technologies is a wholesale distributor of lightbulbs and related accessories throughout the United States. Kanopy, Inc. is an over-the-top video-streaming distribution platform serving primarily academic institutions and public libraries. Media Source, Inc. promotes and sells leading children’s books through a subscription-based service. n2y provides cloud-based learning for special education. Paradigm Tax Group provides technology-enabled outsourced property tax management services to commercial property owners. Pharmacy Development Services, Inc. is a leading provider of business consulting services and business intelligence solutions for independent pharmacies. Research DataWare, LLC provides Software as a Service (“SaaS”) workflow solutions under the platform IRBNet. IRBNet represents an application in the research compliance market in the United States and abroad. Safemark Systems is the recognized worldwide leader in electronic safe solutions for the hospitality industry. 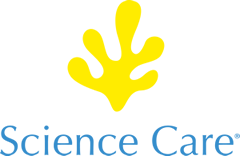 Science Care is the world’s largest non-transplant human tissue bank. Science First is a supplier of science education, testing and laboratory supplies and equipment. Spectrio LLC is a leading provider of on-hold messaging and digital signage. The Vintner Group is the largest independent importer and distributor of fine wines in the United States. Western Institutional Review Board, Inc. is the world’s largest independent review board.